Addiction (alcohol, drugs, gambling) focusing upon abstinence and recovery, feeling good about self and relapse prevention. Co-dependency focuses upon how addictive behaviors affect family members and how members can begin to feel better and get results. Food Addiction dealing with one's relationship with food and developing a healthy lifestyle - often it isn't what we eat that is creating problems, but what is eating at us. 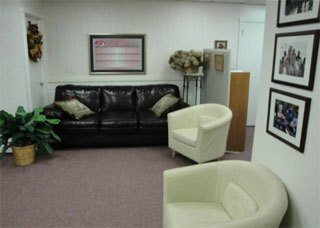 Our Intensive Outpatient Program (IOP) meets 3 days a week (Monday, Wednesday, and Friday) from 9 am to 12 pm to help people with substance abuse problems and disorders. We will also offer a late afternoon IOP. The Program Coordinator, Sandy Vargas, has a master's degree in Social Work and is a licensed substance abuse counselor. The program’s staff members are bilingual, and in the near future, we will offer the program in Spanish.